Providing you the best range of digital printed labels, fabric printed label, cotton fabric labels, cotton tape printed label, oekotex certified labels and printed wash care label with effective & timely delivery. We have introduced new Digital Printing on cotton, polyester subtracts. Being a reckoned name in the industry, we are engaged in manufacturing and supplying Fabric Printed Lables. Our offered range of labels is manufactured in accordance with the industry laid parameters and can be purchased at reasonable rates. Used specifically to cater to the variegated needs of commercial sector in terms of conveying product information, these labels have gained wide market acceptance. 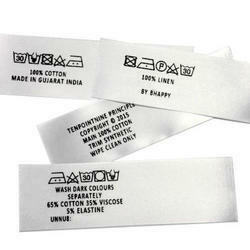 With our immense domain expertise, we are offering Cotton Fabric Labels. The offered labels are manufactured using the best quality raw material and advanced technology in adherence with industry norms. Our provided labels are reckoned for their water proof nature and durability. Apart from this, these labels are offered in different sizes and designs. Our clients can avail these labels from us at market leading. Counted among the best rated companies, we hold expertise in the manufacture, supply and export of Cotton Tape Printed Label. At par with the set industry standards, these labels are available in wide gamut of prints, colors and designs. The excellent sealing properties of these cotton printed labels coupled with its ink retention property makes these labels quite unique. 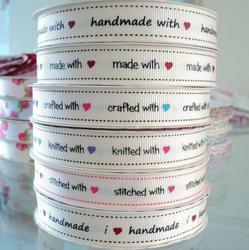 Finally, these cotton tape printed labels are offered at nominal prices. Our organization is engrossed in manufacturing and supplying an extensive assortment of the Fabric Printed Labels to the customers. 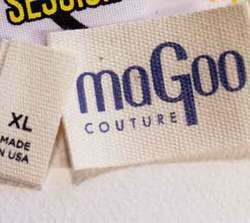 These labels are manufactured using high quality skin friendly threads and fabric, which we procure from the most trusted vendors. 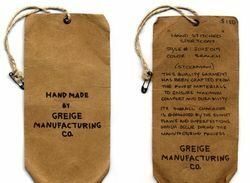 These labels are known for durability, skin friendly nature and neatly stitching among the clients. Fortune have been granted authorization in accordance to OEKOTEX Standard 100 to use the OEKOTEX mark based on the reports 07.0.53632 for the manufacturer of printed ferment labels in satin and taffeta only a specific quality the result of the inspection made according to OEKOTEX Standard 100, product class 1 have shown the above mentioned goods meet the human ecological requirements of the standards presently established for baby articles the certified articles fulfill the requirements of the existing european legislation regarding the use of azo dyes. We are leading manufacturer and supplier of Printed Waste Care Label. The offered care label is manufactured using optimum quality raw material and advanced technology as per set industry standards. Our provided care label is tested on different quality measures in order to ensure its quality. Apart from this, provided care label is available in various sizes and specifications at pocket friendly prices. Fostered with rich industry experience and knowledge, we manufacture, export and supply Satin Printed Labels. Our offered printed labels are manufactured from the finest quality raw material and cutting edge technology in sync with industry norms. The provided printed labels are checked against varied parameters so as to ensure their quality. 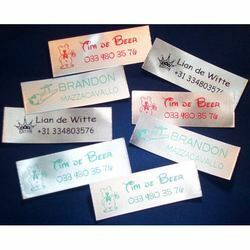 Besides, clients can avail these printed labels from us at industry leading prices. 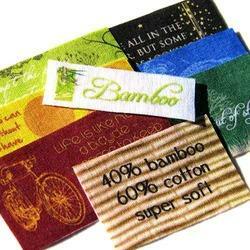 We are leading manufacturers of Home Textiles labels like, printed care labels, woven labels. 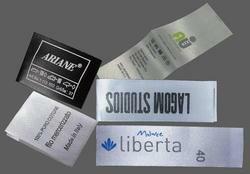 Looking for Printed Fabric Labels ?